Check out the July 2018 issue of Better Homes & Gardens magazine to see the WORX 40V Hydroshot and GT Revolution featured in its “Tools & Tips to Help Save the DIY Day” section. Because it turns your garden hose into a power washer, the 40V battery lasts 45 minutes so you can wash the car after you finish the deck. It draws water from a bucket or lake to clean your boat or camper. The GT Revolution trimmer-edger-mini-mower makes keeping your lawn in shape less of a chore. It operates so smoothly that if feels like an extension of your arm, thanks to an adjustable handle and head, double wheels for stability ii, and an automatic string feeder. Find the WORX 40V Hydroshot and GT Revolution on worx.com. Read the full article from Better Homes and Gardens by clicking here. 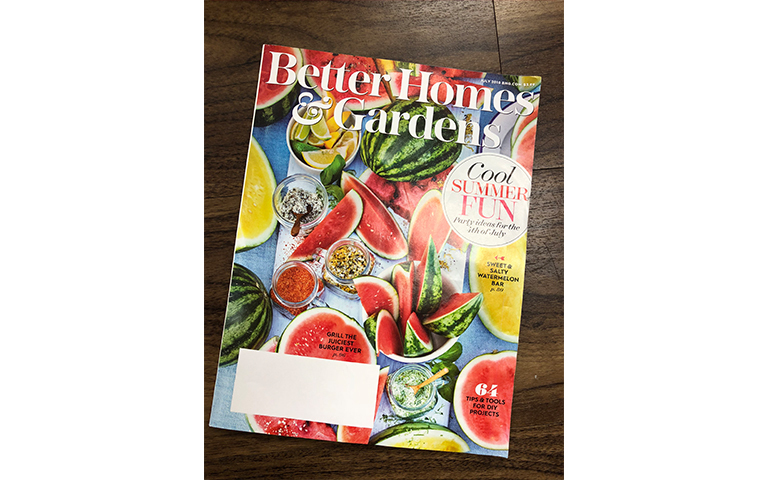 The July 2018 issue of Better Homes & Gardens magazine features the WORX 40V Hydroshot and GT Revolution. Read what they had to say right here!